As you can see I took 2 weeks off at the end of the season in early October with no training of any kind. * Note: In 2014 I changed the way I record bike trainer miles - instead of using what the trainer shows me, I enter distance based on power by manually translating it into speed, then distance. This method shows about 15% to 20% fewer miles than just recording what the trainer shows on display. This past year I did not improve my swimming much - mostly kept it at the same level - mostly because I reduced the swimming volume (average 2.5 swim sessions per week - down from 3 swim sessions in 2013 and went from 3,000 yards per session in 2013 down to 2,500 yards in 2014 - mostly due to lack of time). At the end of the year 2014 I started taking swim lessons with Shannon Metzler and hope it will give me boost in much needed swim speed. Just like in the previous year, I took underwater video camera (Swann Freestyle goes for $140 on Amazon) with me to the pool every couple of months and set it on the side of the pool, at the end of the lane, under and over water, etc. and then watched that footage when I got back home. This was perhaps the single best thing that helped my swim. Other than that I have read few books on swimming and am subscribed to the http://www.swimsmooth.com newsletter (and bought their book). Those guys are fantastic! Their app is just pure awesomeness :-) - it is free to download and use. In 2014 (same as in 2012 and 2013) 98% of all of my biking I did on the indoor trainer - on my recumbent Schwinn 230i bike (purchase in 2001 on eBay for $650). I have built a computer desk over this bike and while pedaling do some email, read, write and do all kinds of stuff while biking. This is what allows me to do 4 to 5 bike workouts per week. I would never have been able to bike this much if I had to ride outside. Plus doing something on the computer removes any sense of boredom. 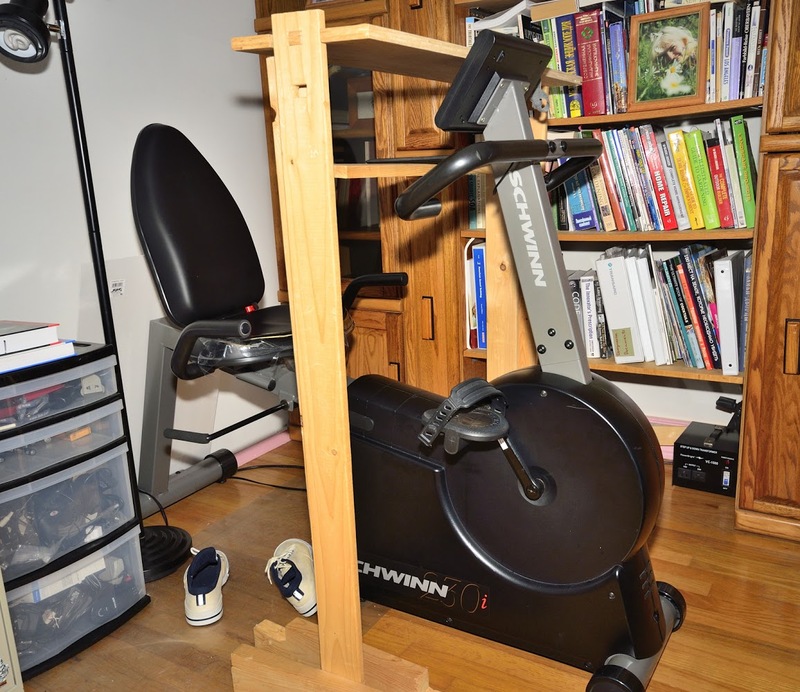 I know people dread indoor bike workouts and would too if not for my computer setup. Since most of my cycling is done on the trainer indoors while doing something on my laptop, almost all of it is long steady ride with no intervals - after initial warmup of about 25 min, building up power to the steady level of 150 to 230 Watts and maintain it for the period of the ride (usually 1 hour to 2 hours), then cool down for 5 min at the end. I rode my mountain bike in 2014 on real trail only twice and took my tri bike to the road for a total of about 5 times this past year, with 2 of those being races. 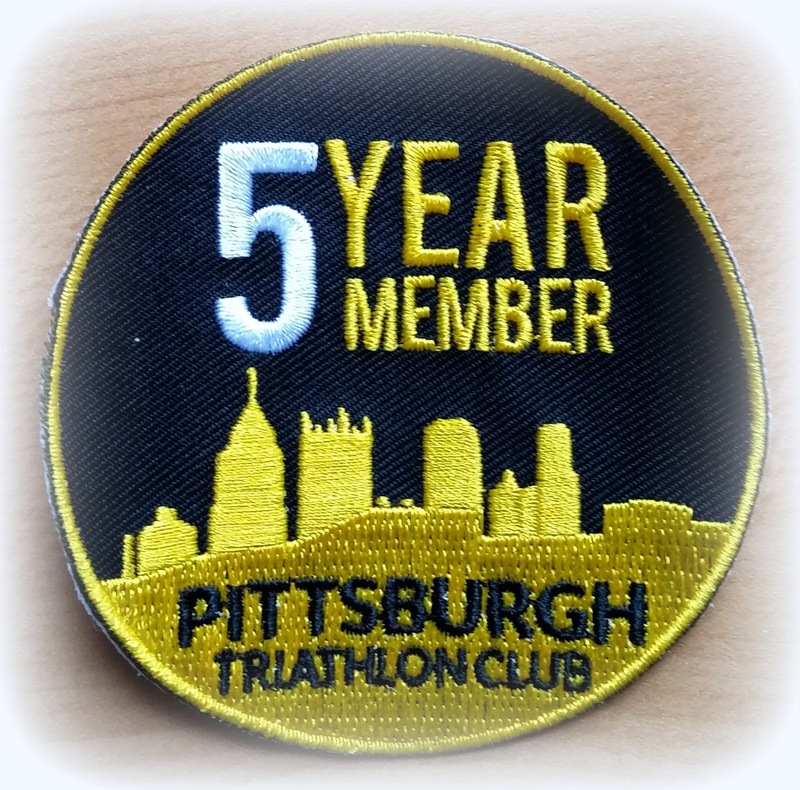 At the beginning of 2014 up until the Pittsburgh Marathon in May I ran four times a week with a long run being on Sunday morning on the trail of North Park. Other days either on the McKnight Elementary school track or in my neighborhood. From May until the end of the year I ran three times a week. Most of my running was in heart rate zones 3 and 4. For most of this year I ran steady pace with only a few dozen runs where I did did tempo runs, 400 and 800 repeats, hill repeats. Overall run training was not very technical - I just enjoyed audiobooks and podcasts while running and did not think much about numbers. I load my Android phone with podcasts and books, put on headphones and never want to stop running :-), especially if it is on North Park trail. It is as good as it gets. See details about my run training in the Pittsburgh Marathon race report here. At the end of 2014 I purchased and installed a treadmill in the basement and started using it about once a week to replace late night runs in the neighborhood (I do not like running in the dark on the road and it is too much to spend 15 minutes to drive to the park trail). I usually do cross training in the morning before work and it takes ~30 min. I do about 90 reps on stability ball or on the floor for abs and 90 for the back (laying on stability ball face down), then do about 30 dynamic side planks on each side and then hold for 30 sec, do two sets of pull-ups (total of about 30), pushups with feet on stability ball and hands on floor handles (about 30 to 40 of these in one set and then once more). This is pretty much unchanged from 2013. My height is 172 cm (5'7'') and weight stayed between 68 to 73 kg (same as last year). I had no foot injuries, but at the end of the year had sore left shoulder and stopped swimming for two weeks. Average daily sleep time was about 7 hrs 30 min (up 10 min from year before). I am working to get it up to 8 hours per day in 20145 :-). Nutritionally I did well and made fruit and berry smoothies on my Vitamix blender several times a week. I must admit that this Vitamix is the most important "fitness" equipment I own :-). This is really outstanding stuff. 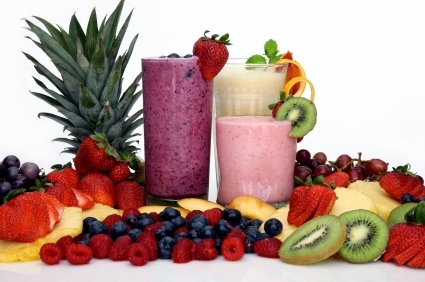 I buy frozen fruit and berries at Costco or Sams Club, add fresh carrots and bananas, some flax seed or chia seed, honey, water and those smoothies are heavenly... The only thing is that I really like chocolate and natural honey and consume more of it than I should. I also love bunch of other sweet things (not soda though) and need to reduce overall sugar intake. This is a hard one... Here is what my fruit shakes look like. I stole this picture from the internet, but you get the idea :-). If you only had $350 to spend on your triathlon gear and you asked me where to spend it, I would say you buy yourself Vitamix blender! The main event for me in 2015 is the Challenge Cedar Point Full Ironman race on September 13 at Sundusky, Ohio. I also plan few small races - perhaps few Sprints and Olympic distance races time permitting. I will do MS150 ride with the first day being a Century ride and second day 65 miles ride. I plan on running 4 times a week in 2015, one or two of those on the treadmill in the basement (if it is dark outside). With my youngest son Edward we already signed up for the April 11 YMCA Adventure Warrior race, and signed up as the family (oh yeah) for the 5K Pittsburgh Color run in September. I am hoping to sign up for few more races with Edward or may be even can get Misha or Sasha to do something. Since I am writing this in April 2015, by this time Edward already did his first triathlon at YMCA indoors and took 3rd place in his age group! It was amazing to watch him race. If not for swimming, he would have taken 1st place, so we have some work cut out for us :-).